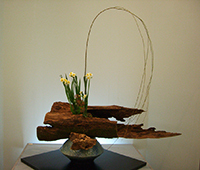 SOTEI is a master of Urasenke, one of the three main schools of the Japanese tea ceremony. 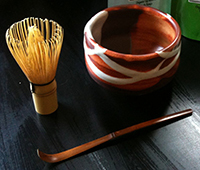 She teaches tea ceremony history, methods, and philosophy. It is real tea tasting, and Japanese confectionery (Okashi) cooking is also taught. MAYUMI teaches traditional Japanese calligraphy. 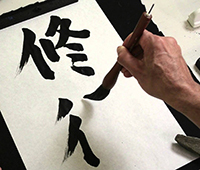 Enjoy rendering kana and kanji in brush strokes with Sumi ink. 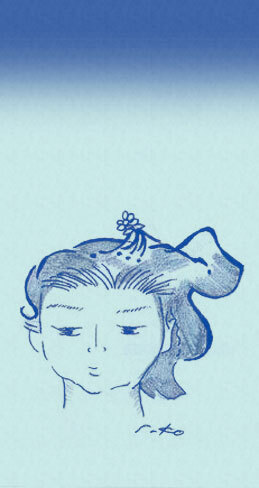 Yuki can visit your company or home to teach calligraphy. For details contact Sachiko at sachiko@sachikofurui.com. Chinami teaches us her artistic techniques. Enjoy your own beautiful collaboration with nature. Please bring your own vase. HANAYAGI SUKEKATSUMI is a master of traditional Japanese dance. 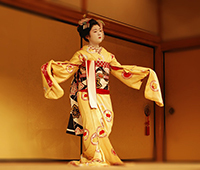 She started Kabuki dance at age two and became a Natori at age 15. Be ready to learn this special, graceful dance from medieval Japan. Learn more about Hanayagi Sukekatsumi at spirit-of.asia. 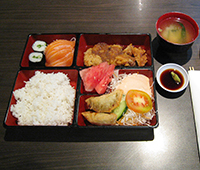 CHIE is a licensed nutritionist, and was a Japanese Cook Book editor for five years. Since coming to the United States, she has taught WASHOKU Japanese Cooking. 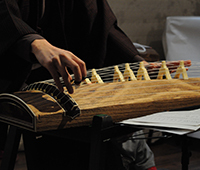 Koto is a traditional Japanese musical instrument, with a rectangular sound box and 13 strings. CATHLEEN AYAKANO READ is a master of the Yamada School, and was the first non-Japanese to join the musical guild of Nakanoshima Kinichi in Japan. We will learn basic and simple Koto music at her house. Try a unique experience. 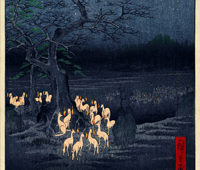 We offer lectures about Japanese culture in subjects such as film, Japanese-style coffee, bookbinding and Ukiyoe history..